John Howard Whitehouse (1873-1955) was a British educationalist, social reformer and the founder of Bembridge School on the Isle of Wight. 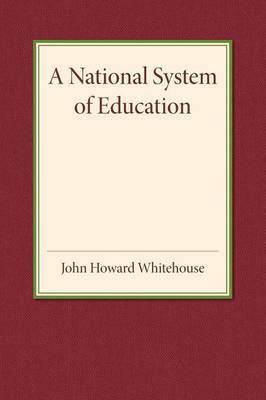 Originally published in 1913, this book contains a series of essays by Whitehouse on the creation of a national education system. The text was issued with the general approval of the executive committee of the Liberal Education Group of the House of Commons. This book will be of value to anyone with an interest in the writings of Whitehouse and the history of education.